Last year I wrote two blog posts about the compound, Apigenin. We covered the latest research about this bioflavonoid, (actually a flavone) and how it was showing very promising anti-breast cancer results. Because the information surrounding apigenin is mounting, in this post I wanted to dig a little deeper and present more findings about some of the results other studies are showing. Also I’ll list more of the plants where this flavone is found so you can put them to use in your daily juices and salads. As I mentioned above, apigenin was shown to cause the development of less breast cancer tumors and also significant delays in tumor development compared to rats that were not given this compound. In another study Apigenin was shown to reduce breast cancer cell progression with mice. In addition this compound also shrank existing cancer tumors for even stronger evidence to suggest further research as an alternative to chemotherapy for the treatment of breast cancer. Apigenin can be found in a number of vegetables, herbs and fruits. It’s most concentrated in parsley, celery, grapefruits and oranges. It’s also found in herbs such as thyme, tarragon, cilantro, foxglove, coneflower, licorice, flax, passion flower, horehound, spearmint, basil and oregano. Chamomile tea provides an especially abundant source as well. It’s easy to see how valuable the compound apigenin can be to our well being with it’s health-enhancing, cancer protective and anti-inflammatory properties. It’s also very easy to get these benefits simply by consuming plants that are rich with this flavone. 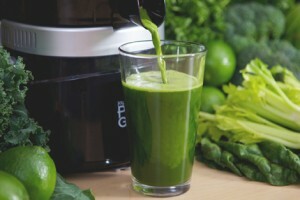 Include parsley and celery in your daily juices as Jay Kordich has been recommending for decades. Use our highly efficient PowerGrind Pro juicer to make a fresh glass of vegetable juice and put these nutrients to work for you every day. Today is Day Two of 12 consecutive days of posts with Jay demonstrating how to make each juice recipe. 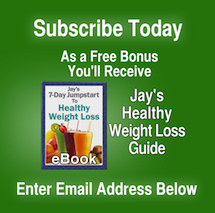 We will also include nutrition and research information to compliment Jay’s choice of fruit and/or vegetable drinks. A recent study published in Cancer Prevention Research demonstrates how a compound found in parsley, when given to rats with breast cancer, caused the development of less tumors and also significant delays in tumor development compared to rats that were not given this compound. It’s called apigenin, commonly found in many plants but more highly concentrated in parsley. Salman Hyder, the Zalk Endowed Professor in Tumor Angiogenesis and professor of biomedical sciences in the University of Missouri-Columbia’s College of Veterinary Medicine and the Dalton Cardiovascular Research Center, gave the substance apigenin to rats with a particular form of breast cancer. 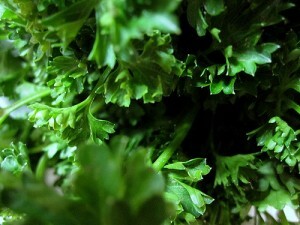 Apigenin is not only found in parsley but also lower concentrations in celery, apples, oranges, nuts and other plants. Some are calling this groundbreaking research because it shows how an easy to obtain, natural substance can stop certain breast cancer tumor cells from multiplying and growing without the negative impacts associated with drugs and hormone replacement therapies. Jay Kordich has been a huge proponent of parsley based on research going back decades, long before all the recent cancer research studies. If you have attended one of Jay’s live seminars over the last 30 or 40 years, you may recall Jay teaching about the power of parsley juice. Exciting new information was just released. 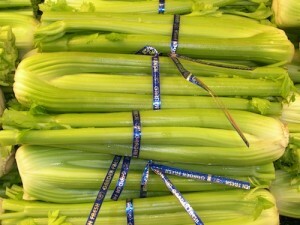 Researchers at the University of Missouri have discovered a substance in celery called Apigenin that is shown to reduce breast cancer cell progression in their studies with mice. In addition, celery apigenin also shrank existing cancer tumors for even stronger evidence to suggest further research as an alternative to chemotherapy for the treatment of breast cancer. This is exciting to us juicing fans because we already know how to put concentrated amounts of substances from celery into our bodies by simply running stalks of it through our PowerGrind Pro juicer. 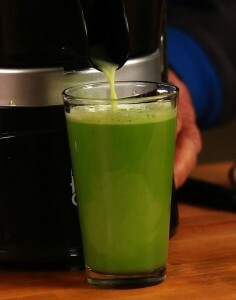 Also celery juice is great tasting, especially when mixed with carrot, greens and apple. What could possibly be a simpler way to help insure your protection against cancer? Apigenin, while most prevalent in celery and parsley, it’s also in many other vegetables and fruits such as apples, beets, brussels sprouts, cabbage, lettuce, grapes, cherries and herbs like rosemary, thyme, oregano and peppermint. Over and over again we see evidence of amazing health giving properties from plants. 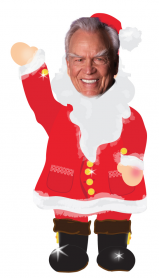 What Jay Kordich has been saying and teaching us for many decades is confirmed through study after study. 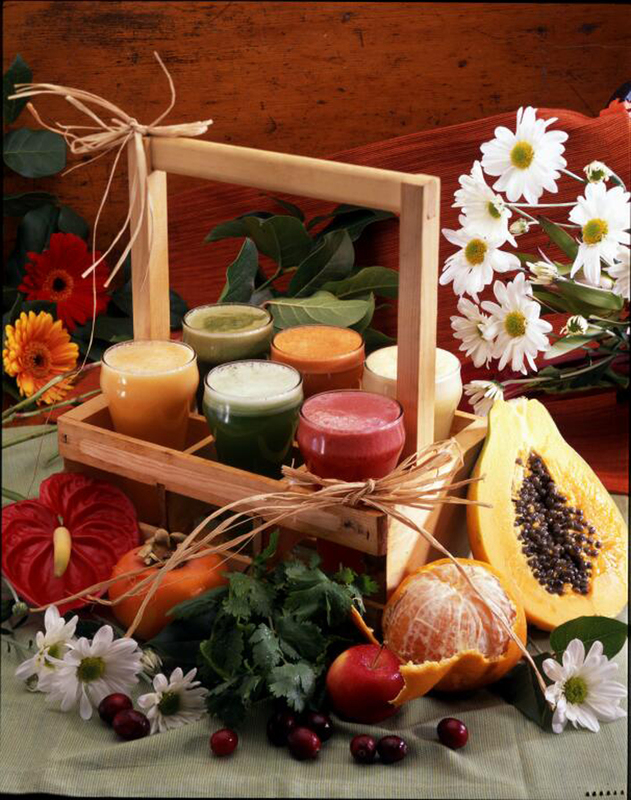 If you own a juice machine, start using it on a daily basis to get these nutrient-rich elements into your body. Don’t Wait. Start Juicing Today! Here is Jay making Potassium Broth. Cantaloupe ~ Nature’s Finest Fruit! I have been eating cantaloupes for over 80 years. And I have been juicing them for over 62 years, and Linda and I never tire of them. I want to make sure you are juicing them as well, so I thought I would write a quick note about CANTALOUPES. How to Juice: Peel your cantaloupes (unless they are organic and scrubbed very well) cut in long strips and juice entire cantaloupe, minus the seeds. 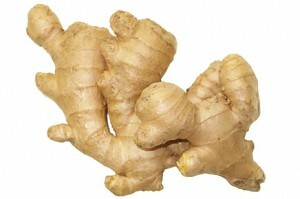 We add some fresh ginger root to the juice in the mornings to give it a little zest. One cantaloupe (medium size) can juice more than a quart. NEVER let your cantaloupe juice sit without refrigeration, and if you are saving it, it will only last 5 hours. So it’s best to juice it and then drink it immediately. Vitamin C in the juice along with the natural enzymes and lifeforce start to die immediately after you break open the cells of the fruit. Our food ranking system qualified cantaloupe as an excellent source of vitamin A on account of its concentrated beta-carotene content. Once inside the body, beta-carotene can be converted into vitamin A, so when you eat cantaloupe it’s like getting both these beneficial nutrients at once. One cup of cantaloupe is just 56 calories, but provides 103.2% of the daily value for vitamin A. Both vitamin A and beta-carotene are important vision nutrients. In a study of over 50,000 women nurses aged 45 to 67, women who consumed the highest dietary amount of vitamin A had a 39% reduced risk of developing cataracts. In another study that looked at the incidence of cataract surgery and diet, researchers found that those people who ate diets that included cantaloupe had half the risk of cataract surgery, while those who ate the highest amounts of butter, salt and total fat had higher risks for cataract surgery. Beta-carotene has also been the subject of extensive research in relationship to cancer prevention and prevention of oxygen-based damage to cells. Cantaloupe also emerged from our food ranking system as an excellent source of vitamin C. While beta-carotene and vitamin A are fat-soluble antioxidants, vitamin C functions as an antioxidant in the water-soluble areas of the body. So, between its beta-carotene and vitamin C content, cantaloupe has all areas covered against damage from oxygen free radicals. In addition to its antioxidant activity, vitamin C is critical for good immune function. Vitamin C stimulates white cells to fight infection, directly kills many bacteria and viruses, and regenerates Vitamin E after it has been inactivated by disarming free radicals. Owing to the multitude of vitamin C’s health benefits, it is not surprising that research has shown that consumption of vegetables and fruits high in this nutrient is associated with a reduced risk of death from all causes including heart disease, stroke and cancer. One cup of cantaloupe contains 112.5% of the daily value for this well-known antioxidant. In our food ranking system, cantaloupe also qualified as a very good source of potassium and a good source of vitamin B6,dietary fiber, folate, and niacin (vitamin B3). The combination of all these B complex vitamins along with the fiber found in cantaloupe make it an exceptionally good fruit for supporting energy production through good carbohydrate metabolism and blood sugar stability. These B complex vitamins are required in our cells for processing carbohydrates (including sugars), and cantaloupe’s fiber helps ensure cantaloupe’s sugars are delivered into the bloodstream gradually, keeping blood sugar on an even keel. Cantaloupe’s Pro-vitamin A Promotes Lung Health. If you or someone you love is a smoker, or if you are frequently exposed to secondhand smoke, then making vitamin A-rich foods, such as cantaloupe, part of your healthy way of eating may save your life, suggests research conducted at Kansas State University. While studying the relationship between vitamin A, lung inflammation, and emphysema, Richard Baybutt, associate professor of nutrition at Kansas State, made a surprising discovery: a common carcinogen in cigarette smoke, benzo(a)pyrene, induces vitamin A deficiency. Baybutt’s earlier research had shown that animals fed a vitamin A-deficient diet developed emphysema. His latest animal studies indicate that not only does the benzo(a)pyrene in cigarette smoke cause vitamin A deficiency, but that a diet rich in vitamin A can help counter this effect, thus greatly reducing emphysema. If you or someone you love smokes, or if your work necessitates exposure to second hand smoke, protect yourself by making sure that at least one of the World’s Healthiest Foods that are rich in vitamin A, such as cantaloupe, is a daily part of your healthy way of eating. Your mother may have told you carrots would keep your eyes bright as a child, but as an adult, it looks like fruit is even more important for keeping your sight. Data reported in a study published in the Archives of Ophthalmology indicates that eating 3 or more servings of fruit per day may lower your risk of age-related macular degeneration (ARMD), the primary cause of vision loss in older adults, by 36%, compared to persons who consume less than 1.5 servings of fruit daily. In this study, which involved over 100,000 women and men, researchers evaluated the effect of study participants’ consumption of fruits; vegetables; the antioxidant vitamins A, C, and E; and carotenoids on the development of early ARMD or neovascular ARMD, a more severe form of the illness associated with vision loss. Food intake information was collected periodically for up to 18 years for women and 12 years for men. While, surprisingly, intakes of vegetables, antioxidant vitamins and carotenoids were not strongly related to incidence of either form of ARMD, fruit intake was definitely protective against the severe form of this vision-destroying disease. Three servings of fruit may sound like a lot to eat each day, but by simply slicing some cantaloupe over your morning cereal, topping off a cup of yogurt or green salad with a half cup of berries, and snacking on an apple, plum, nectarine or pear, you’ve reached this goal. The fruit that we call the cantaloupe is, in actuality, really a muskmelon. The true cantaloupe is a different species of melon that is mostly grown in France and rarely found in the United States. It derives its name from the Italian papal village of Cantalup where it was first cultivated around 1700 A.D. From hereon, we will still use the term “cantaloupe” when referring to the muskmelon. The cantaloupe is a melon that belongs to the same family as the cucumber, squash, pumpkin and gourd, and like many of its relatives, it grows on the ground on a trailing vine. It is round or oval in shape and usually has a ribless rind. Having a distinctive netted skin, it is also referred to as netted melon. Many of the cantaloupes available today are hybrids of muskmelons and true cantaloupes and have qualities that reflect both. Cantaloupes range in color from orange-yellow to salmon and have a soft and juicy texture with a sweet, musky aroma that emanates through the melon when it is ripe. Cantaloupes feature a hollow cavity that contains their seeds encased in a web of netting. Cantaloupe is also known as rockmelon in several parts of the world. The scientific name for cantaloupe is Cucumis melo. The exact origin of melons is unclear, although they are thought to have originated in either India, Africa or ancient Persia and have been cultivated in these lands since ancient times. Historical texts from Greek and Roman times note that these ancient civilizations enjoyed cantaloupes. They were introduced to the United States during colonial times but were not grown commercially until the very late 19th century. Today, major growers of cantaloupe include the United States, Turkey, Iran and many Central American countries. The key to purchasing a good quality melon is to find one that is ripe, which is sometimes a challenge because oftentimes they are picked while still unripe in order to ensure that they make it through the shipping process undamaged. There are many clues that you can look for to find a melon that is ripe. If you tap the melon with the palm of your hand and hear a hollow sound, the melon has passed the first test. Choose a melon that seems heavy for its size, and one that does not have bruises or overly soft spots. The rind, underneath the netting, should have turned to yellow or cream from the green undertones that the unripe fruit has. The “full slip,” the area where the stem was attached, should be smooth and slightly indented, free from remnants of the stem. The end opposite the full slip should be slightly soft, and you should be able to smell the fruit’s sweetness subtly shining through, although be careful since an overly strong odor may be an indication of an overripe, fermented fruit. Cantaloupe is so fragrant that you will be able to test for its aroma of ripeness even if you purchase already cut cantaloupe, packaged in a plastic container. Research conducted at the University of Innsbruck in Austria suggests that as fruits fully ripen, almost to the point of spoilage, their antioxidant levels actually increase. Key to the process is the change in color that occurs as fruits ripen, a similar process to that seen in the fall when leaves turn from green to red to yellow to brown- a color change caused by the breakdown and disappearance of chlorophyll, which gives leaves and fruits their green color. Until now, no one really knew what happened to chlorophyll during this process, but lead researcher, Bernard Kräutler, and his team, working together with botanists over the past several years, has identified the first decomposition products in leaves: colorless, polar NCCs (nonfluorescing chlorophyll catabolytes), that contain four pyrrole rings – like chlorophyll and heme. Leaving a firm cantaloupe at room temperature for several days will allow the texture of its flesh to become softer and juicier. Please note that cantaloupe can be left at room temperature only if it is whole, intact, and not yet to the stage of full ripeness. Once the cantaloupe has reached its peak ripeness, place it in the refrigerator to store. Melon that has been cut should be stored in the refrigerator as well and should be wrapped so as to ensure that the ethylene gas that it emits does not affect the taste or texture of other fruits and vegetables. Since bacteria can grow on the surface of most melons, it is important to wash the outside of the cantaloupe before cutting into it. After washing, simply slice the melon into pieces of desired thickness and scoop out the seeds and netting. Remember to refrigerate your sliced cantaloupe if you are not going to consume it immediately. No time to prepare your fruit salad right before serving? You can prepare it several hours ahead or even the day before and still have fresh, flavorful cantaloupe. Simply cut up the fruit while holding it under water. Once again, be sure to refrigerated your cantaloupe immediately after cutting. Looking for a way to keep pre-sliced ready-to-eat cantaloupe fresh longer, USDA Agricultural Research Service scientists found that slicing the fruit when it’s held under water short-circuits the signals plant cells send to each other when they detect an injury, such as being sliced. No significant losses in phenolic phytonutrients were found in any of the fresh-cut fruit products. “Contrary to expectations, it was clear that minimal processing had almost no effect on the main antioxidant constituents. The changes in nutrient antioxidants observed during nine days at five degrees Celsiuswould not significantly affect the nutrient quality of fresh cut fruit. In general, fresh-cut fruits visually spoil before any significant nutrient loss occurs,” wrote lead researcher Maria Gil. Cantaloupe is not a commonly allergenic food, is not known to contain measurable amounts of oxalates or purines, and is also not included in the Environmental Working Group’s 2010 report “Shopper’s Guide to Pesticides” as one of the 12 foods most frequently containing pesticide residues.